2313-Villamare-RATES ALL-INCLUSIVE! Free Tennis/Pickleball--Newly Renovated! 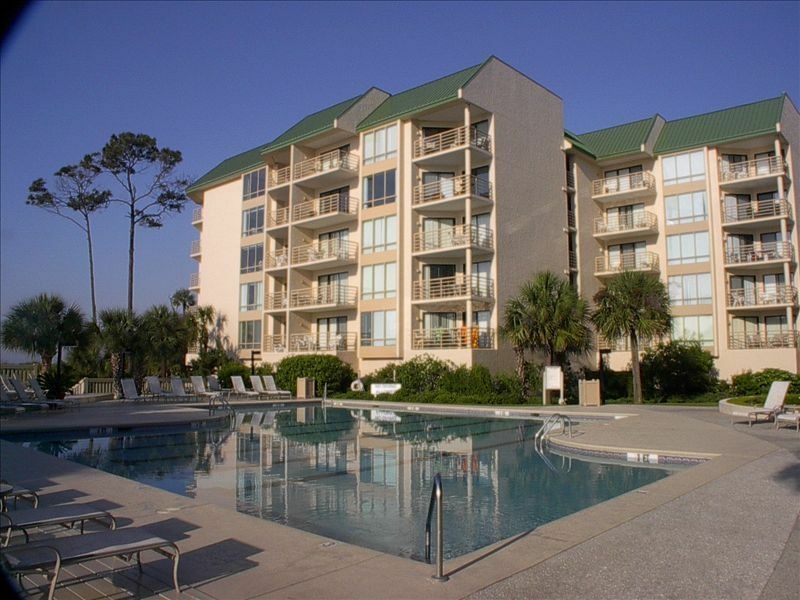 The Villamare complex features a Health Club, Seasonally Heated Oceanfront Pool, Kiddy Pool and Oceanfront Hot Tub. NEW RENOVATIONS IN VILLA FOR 2018! Smooth ceilings, new tiled showers, vinyl plank flooring, crown molding, new furnishings and freshly painted. 2313 Villamare is a 3rd floor, 2 bedroom/2 bath, NON-SMOKING, oceanside unit, which has views through the beautifully landscaped, lagoon oriented courtyard, out to the ocean. It offers total privacy for vacationing couples, or parents who need some quality time while their children enjoy their own individual suite. This bedroom suite contains 1 queen bed and 1 full-size bed, 42' flat screen HDTV, Blu-ray DVD,CD/AM-FM/ music system, phone, full bath and private balcony. The master bedroom features a king size bed, 50 flat screen HDTV, Blu-ray DVD player with wifi, private bathroom with large walk-in shower, dressing area, soaking tub, phone and access to balcony. The comfortable living room has sofa and love seat, 55" LED HDTV Blu-Ray DVD player, both with wifi capability and access to the balcony. The adjoining dining area and fully equipped kitchen features stove, refrigerator, microwave, dishwasher, disposal, ironing board, iron, phone with answering machine and all kitchen utensils. The unit contains a full sized washer and dryer, linen and towels. The villa also features a convenient KEYLESS ENTRY which eliminates the need to carry any more keys than are necessary while on vacation, along with FREE DAILY TENNIS OR PICKLEBALL,, FREE WIRELESS INTERNET ACCESS, FREE LONG DISTANCE CALLING and DISCOUNTED BICYCLE RENTALS through AAA RIDING TIGERS. State of art fitness center to include universal machine, free weights, treadmills and elliptical machines. Also, swimming pool, hot tub and sauna.